The Bluebonnets are blooming! 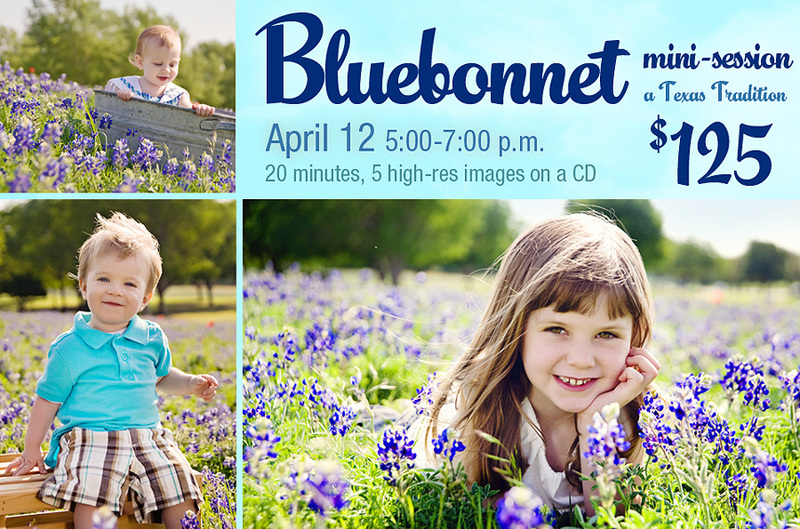 Don’t miss your chance to get pictures in the traditional Texas wildflower! Location will be announced after your session is booked and paid for, but is in Plano. $125 due upon booking. For up to 3 People, each additional person is $25 and adds an additional image. Date is April 12th in the evening.